Ironbridge is known throughout the world as the symbol of the Industrial Revolution. It contains all the elements of progress that contributed to the rapid development of this industrial region in the 18th century, from the mines themselves to the railway lines. Nearby, the blast furnace of Coalbrookdale, built in 1708, is a reminder of the discovery of coke. The bridge at Ironbridge, the world's first bridge constructed of iron, had a considerable influence on developments in the fields of technology and architecture. À Ironbridge, localité minière devenue le symbole de la révolution industrielle, se trouvent tous les éléments de l'essor de cette région industrielle au XVIIIe siècle, depuis le centre d'extraction jusqu'au chemin de fer. À proximité, le haut-fourneau de Coalbrookdale, créé en 1708, rappelle la découverte de la fonte au coke. Quant au pont d'Ironbridge, premier pont métallique du monde, il eut une influence considérable sur l'évolution de la technologie et de l'architecture. تحتوي منطقة جسر الحديد المنجمية التي تحوّلت الى رمز للثورة الصناعية مجمل عناصر الازدهار التي شهدتها هذه المنطقة الصناعية في القرن الثامن عشر، بدءاً بمركز الاستخراج وانتهاء بسكة الحديد، في حين يعيد مسبك كولبروكدايل المجاور الذي أنشئ عام 1708 الى الأذهان اكتشاف صهر الفحم الحجري. أما جسر ايرونبريدج وهو الجسر المعدني الاول في العالم فقد خلّف تأثيراً عميقاً في تطور التكنولوجيا والهندسة المعمارية. Айрон-Бридж известен в мире как символ промышленной революции. Здесь присутствуют все компоненты прогресса, определившие быстрое развитие этого индустриального района в XVIII в. – от шахт до железных дорог. Расположенная поблизости доменная печь Коулбрукдейл, построенная в 1708 г., напоминает об открытии возможности промышленного применения кокса. Мост Айрон-Бридж – это первый металлический мост в мире, возведение которого оказало большое влияние на развитие техники и архитектуры. Símbolo mundialmente célebre de la Revolución Industrial, la localidad minera de Ironbridge presenta todos los elementos –desde las minas hasta los ferrocarriles– que contribuyeron al auge industrial de la región circundante desde el siglo XVIII. En sus cercanías se halla el alto horno de Coalbrookdale, construido en 1708, que trae a la memoria el descubrimiento de la fundición con coque. El puente que ha dado su nombre a la localidad –el primero del mundo construido en metal– ejerció una influencia considerable en la tecnología y la arquitectura de épocas posteriores. Ironbridge staat overal ter wereld bekend als het symbool van de Industriële Revolutie. Het heeft alle elementen van de vooruitgang die bijdroegen aan de snelle ontwikkeling van deze industriële regio in de 18e eeuw: van de mijnen tot aan de spoorlijnen. De nabijgelegen hoogoven van Coalbrookdale, gebouwd in 1708, herinnert aan de ontdekking van steenkool. De brug bij Ironbridge - 's werelds eerste brug gebouwd van ijzer - had een grote invloed op de ontwikkeling van technologie en architectuur. Vandaag de dag is Ironbridge een leef- en werkgemeenschap met een bevolking van ongeveer 4.000 mensen. The Ironbridge Gorge World Heritage property covers an area of 5.5 km2 (550 ha) and is located in Telford, Shropshire, approximately 50 km north-west of Birmingham. The Industrial Revolution had its 18th century roots in the Ironbridge Gorge and spread worldwide leading to some of the most far-reaching changes in human history. The site incorporates a 5 km length of the steep-sided, mineral-rich Severn Valley from a point immediately west of Ironbridge downstream to Coalport, together with two smaller river valleys extending northwards to Coalbrookdale and Madeley. The Ironbridge Gorge provided the raw materials that revolutionised industrial processes and offers a powerful insight into the origins of the Industrial Revolution and also contains extensive evidence and remains of that period when the area was the focus of international attention from artists, engineers, and writers. The property contains substantial remains of mines, pit mounds, spoil heaps, foundries, factories, workshops, warehouses, iron masters’ and workers’ housing, public buildings, infrastructure, and transport systems, together with the traditional landscape and forests of the Severn Gorge. In addition, there also remain extensive collections of artifacts and archives relating to the individuals, processes and products that made the area so important. Today, the site is a living, working community with a population of approximately 4000 people as well as a world renowned place to visit. It is also a historic landscape that is interpreted and made accessible through the work of a number of organisations, in particular, the Ironbridge Gorge Museum Trust (established in 1967 to preserve and interpret the remains of the Industrial Revolution within the Ironbridge Gorge) and the Severn Gorge Countryside Trust (established in 1991 to manage the woodland, grassland and associated historic structures in the Gorge). Within the property, five features are highlighted as of particular interest. It was in Coalbrookdale in 1709 that the Quaker Abraham Darby I developed the production technique of smelting iron with coke which began the great 18th century iron revolution. There still remains a high concentration of 18th and 19th century dwellings, warehouses and public buildings in Coalbrookdale. In Ironbridge, the community draws its name from the famous Iron Bridge erected in 1779 by Abraham Darby III. At the eastern end of Ironbridge stand the remains of two 18th century blast furnaces, the Bedlam Furnaces, built in 1757. In Hay Brook Valley, south of Madeley, lies a large open-air museum which incorporates the remains of the former Blists Hill blast furnaces and Blists Hill brick and tile works. Also of importance is the spectacular Hay Inclined Plane, which connected the Shropshire Canal to the Coalport Canal, which in turn linked with the River Severn. The small community of Jackfield on the south bank of the River Severn was important for navigation, coal mining, clay production, and the manufacture of decorative tiles. Located at the eastern end of the property and on the north bank of the River Severn, industrialisation came to Coalport in the late 18th century and the area is remembered principally for the Coalport China Works. Criterion (i): The Coalbrookdale blast furnace perpetuates in situ the creative effort of Abraham Darby I who discovered the production technique of smelting iron using coke instead of charcoal in 1709. It is a masterpiece of man's creative genius in the same way as the Iron Bridge, which is the first known metal bridge. It was built in 1779 by Abraham Darby III from the drawings of the architect Thomas Farnolls Pritchard. Criterion (ii): The Coalbrookdale blast furnace and the Iron Bridge exerted great influence on the development of techniques and architecture. Criterion (iv): Ironbridge Gorge provides a fascinating summary of the development of an industrial region in modern times. Mining centres, transformation industries, manufacturing plants, workers' quarters, and transport networks are sufficiently well preserved to make up a coherent ensemble whose educational potential is considerable. Criterion (vi): Ironbridge Gorge, which opens its doors to in excess of 600,000 visitors yearly, is a world renowned symbol of the 18th century Industrial Revolution. The boundary of the property is clearly defined by the steep sided Gorge and encompasses an extraordinary concentration of mining zones, foundries, factories, workshops and warehouses which coexist with the old network of lanes, paths, roads, ramps, canals and railroads as well as substantial remains of traditional landscape and housing. The ironmasters' houses, the workers' living quarters, public buildings and infrastructure are all within the five identifiable areas of Coalbrookdale, Ironbridge, Hay Brook Valley with Madeley, Jackfield and Coalport, which are enclosed by a common boundary. The well preserved historic fabric is well supported by detailed historic archives and collections of manufactured goods. The technologically revolutionary Iron Bridge spanning the River Severn Gorge is the focal point of the property and, together with the attributes above, includes all that is necessary to convey the former pioneering intense industrial past within its green landscape and thus the Outstanding Universal Value of the property. None of the key industrial attributes are under threat, but the overall mining landscape is vulnerable to land instability resulting from mining, underlying geology and incremental changes, which over time could impact the character of the valley. The landscape is a crucial part of the property, and it needs to be managed as a coherent whole, with key views across the valley identified and protected. The decline of the industries and the prosperity of the area at the end of the 19th and start of the 20th centuries in a way helped to protect most of the urban fabric within the property and its landscape. The different types of dwellings, industrial buildings and structures did suffer from a degree of neglect following the decline in prosperity. However, in recognition of the area’s unique industrial heritage significant late 20th century investment reversed this decline. With careful attention to details, materials and techniques, most of the historic buildings, structures and urban and rural patterns have retained their essential and authentic historic character, although, some industrial monuments await conservation work. In 2010, nearly 1 million people visited the Ironbridge Gorge and its museums. The Victorian Town Open Air museum at Blists Hill was established before inscription and incorporates scheduled industrial monuments, reconstructed 19th century buildings and new buildings based on local examples. Care is taken to ensure that the relationship between the original buildings and monuments on the property and the other structures, which do not form part of the historic attributes of the property is clearly stated ensuring authenticity is not compromised. Government guidance on protecting the Historic Environment and World Heritage is set out in the National Planning Policy Framework and Circular 07/09. Policies to protect, promote, conserve and enhance World Heritage properties, their settings and buffer zones are also found in statutory planning documents. World Heritage status is a key material consideration when planning applications are considered by the Local Planning Authority. The Telford & Wrekin Core Strategy contains policies to protect the property. This Strategy is replaced by a Local Plan covering a period of approximately 25 years. The property lies predominantly in the boundary of Telford & Wrekin Council with a small south-east portion within the Shropshire Council boundary. The entire site is a designated Conservation Area and there are over 375 listed buildings of which two are Grade 1 and eighteen are Grade 2*. In addition, there are 7 Scheduled Ancient Monuments. 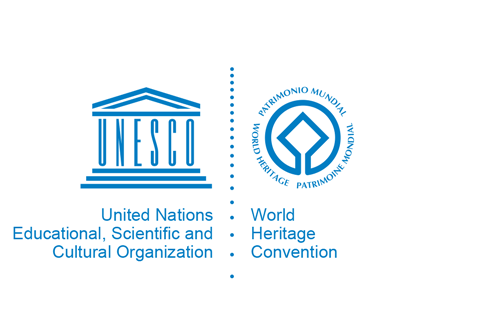 There are two Sites of Special Scientific Interest within the World Heritage property. Added control over changes to the property is achieved through an Article 4 (2) Directive for the Conservation Area, which withdraws permitted rights for certain development. Additional controls under a wider Article 4(2) Directive will be implemented in 2013 as an improved management tool to prevent damaging incremental change. The Ironbridge Gorge World Heritage Site Management Plan is under regular review every ten years. Boundaries and protection mechanisms will be reviewed as part of the management plan process. The delivery of the management plan will be implemented by all partners, in conjunction with and on behalf of, Telford & Wrekin Council and overseen by a World Heritage Site Steering Committee by which the key stakeholders are represented. The day to day management activities are carried out at local level by Telford & Wrekin Council together with diverse organisations, agencies, and owners who have various management responsibilities within the property. There is a need to ensure that management of the property covers the whole area within the boundaries, including the rich ensemble of minor buildings and the encompassing landscape that together give the major structures such as the Iron Bridge and the Old Furnace at Coalbrookdale their extraordinary social and economic context. The management plan review will look at ways this can be achieved. Land instability resulting from previous mining activity and underlying geology is a significant factor in the Gorge and some stabilisation took place. A comprehensive, holistic management approach is required and works are planned as part of a major phased stabilisation programme. An Environmental Impact Assessment, including heritage assessment, will be undertaken to inform the design process. There is also a need to promote wider understanding of the scope and extent of the property and its inter-related attributes. A visitor and interpretation centre enables visitors to understand the geographical and geological context to the property and visitors are encouraged to visit the various museums and villages and to walk along the river and the slopes of the Gorge. Additional visitor facilities include upgrading visitor accommodation and a Park and Ride facility. This complements the comprehensive high quality interpretation and education service provided by the ten Ironbridge Museums and the Ironbridge Institute.